This paper addresses the robust stochastic sampled-data-based output feedback (SSDBOF) consensus controller design for a network of continuous-time heterogeneous multi-agent systems (MASs) in the presence of denial-of-service (DoS) attack. Under the mild assumption that the sampling instant is stochastically triggered and satisfies the Markov property, a homogeneous Markovian jump system (MJS) method is introduced that is capable of modeling the stochastic sampled-data-based control system. Furthermore, the randomly occurring Deny-of-Service (DoS) attack problem is also taken into account due to the existence of potential adversary that tries to block the communication channels. A novel discrete-time stochastic Markovian system model is first introduced that enables us to deal with the stochastic sampling and random DoS attack phenomena in a unified framework. Then by adopting the decoupling scheme, some sufficient conditions are proposed such that all the outputs of the following agents can track the output of the leading agent, and the prescribed H∞ performance level is also guaranteed. In our work, the SSDBOF consensus controller design method is transformed to a feasibility problem subject to the linear matrix inequality (LMI) constraints. The theoretical results are finally applied to solve the position tracking problem of a network of vehicle systems. Recommended by Associate Editor Sing Kiong Nguang under the direction of Editor Hamid Reza Karimi. This work was partially supported by the National Nature Science Foundation of China (61873237, 61703150, 11701163, 61573318), and the Major Projects Foundation of Zhejiang Province (2017C03060). Zhenhua Xu is now pursuing a Ph.D. degree in Control Science and Engineering from the Zhejiang University of Technology, Hangzhou, China. His current research interests include the area of networked control systems and robust control. Jun Cheng received the B.S. degree from the Hubei University for Nationalities, Enshi, China, and the Ph.D. degree from the University of Electronic Science and Technology of China, Chengdu, China, in 2015. He is currently with the Qingdao University of Science and Technology, Qingdao, China. From 2013 to 2014, he was a Visiting Scholar with the Department of Electrical and Computer Engineering, National University of Singapore, Singapore. He was a Visiting Scholar with the Department of Electrical Engineering, Yeungnam University, Gyeongsan, Korea, in 2016 and 2018. His current research interests include analysis and synthesis for stochastic hybrid systems, networked control systems, robust control, and nonlinear systems. 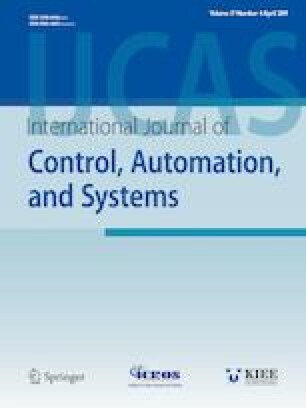 Dr. Cheng is an Associate Editor of the International Journal of Control, Automation, and Systems. Dan Zhang received the Ph.D. degree in Control Theory and Control Engineering from the Zhejiang University of Technology, Hangzhou, China, in 2013. He is currently a Research Fellow with the Department of Biomedical Engineering, City University of Hong Kong, Hong Kong, China. His current research interests include the area of networked control systems, robust control, and filtering.